Are you looking for some themes for your WordPress site? 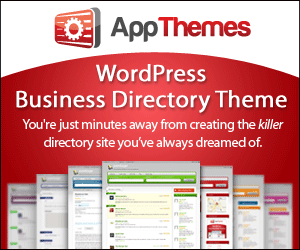 AppThemes is one of the leaders in themes for WordPress. The leader in WordPress application themes. Easy to setup. Amazing Support. Thriving Community. Trusted by thousands.